The Egyptian Lamp Burning festival was similar to our Samhain, when many lamps were lit to guide the dead to the food offerings that were provided for them. Isis and Osiris were honored at this festival because of their connection to death, regeneration and rebirth. To celebrate the Festival of the Burning Lamps, on the night of November 24, light as many votive candles as you can, and be sure to have incense burning. Incense is much beloved by the spirit world and it is said that the swirling smoke can give the dead form in the physical world. Have an offering of food such as bread, fresh fruit, milk and honey, mead or wine. Tonight I honor You with fire and sweet incense. That I may be with you on this sacred night. 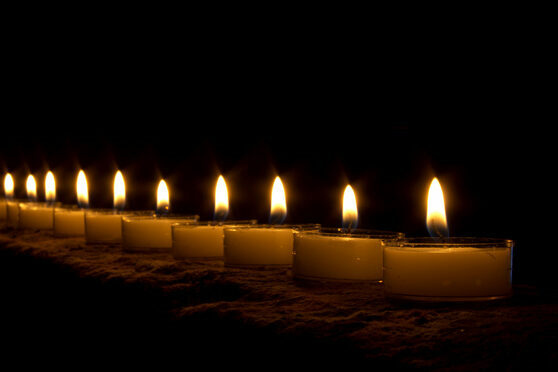 Spend some time in meditation, gazing at the incense smoke and the flickering light of the candles. Make note of any and all occurrences, the presence of the Gods is subtle and their touch is light. When you are finished, thank Isis and Osiris for their presence, snuff the candles and place the food outdoors by pouring it onto the Earth.